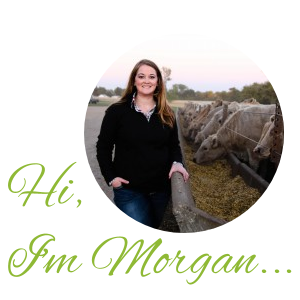 Did you know that as farm wives to beef farmers my sisters and I should never, ever complain about being low on meat and how the men need to schedule for a calf to head into the locker? 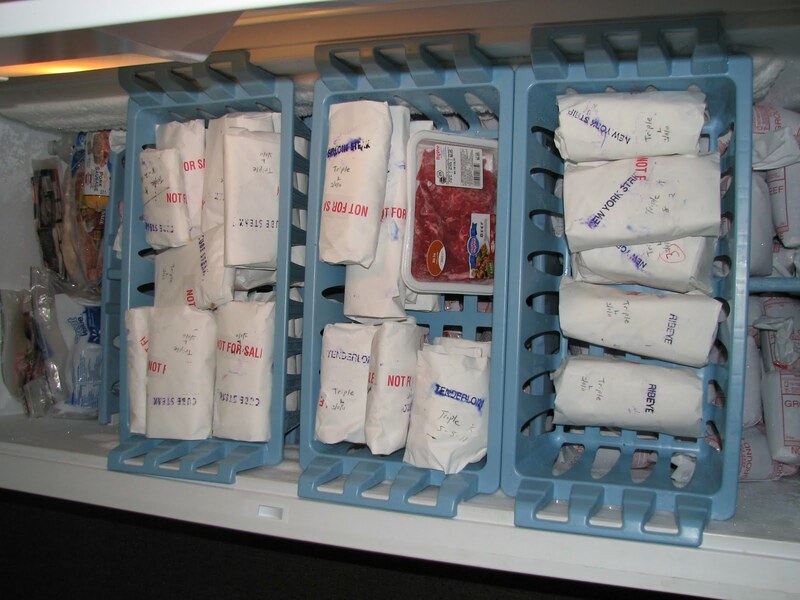 If we do complain about our freezers being low on beef we normally have to wait for days or weeks or really even a whole month before our low supply is replenished! You would think it would be totally easy to load up one of our own well fed calves and haul them to the locker, but sometimes it’s really just smarter to wait. I say this because a few months ago all three families were running low on meat and all the wives were giving there two sense to their husbands about not having any beef in their freezers. Well, needless to say, they took one beef to the locker to split among all three families. But, our husbands love us so much they decided to make that two calves to the locker to split between families. Then a few days later they decided they love us even more and decided to take another calf to the locker. 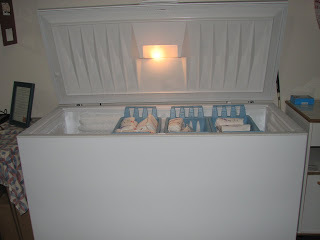 That is all ground beef, filled almost to the top of that extremely deep deep freezer. 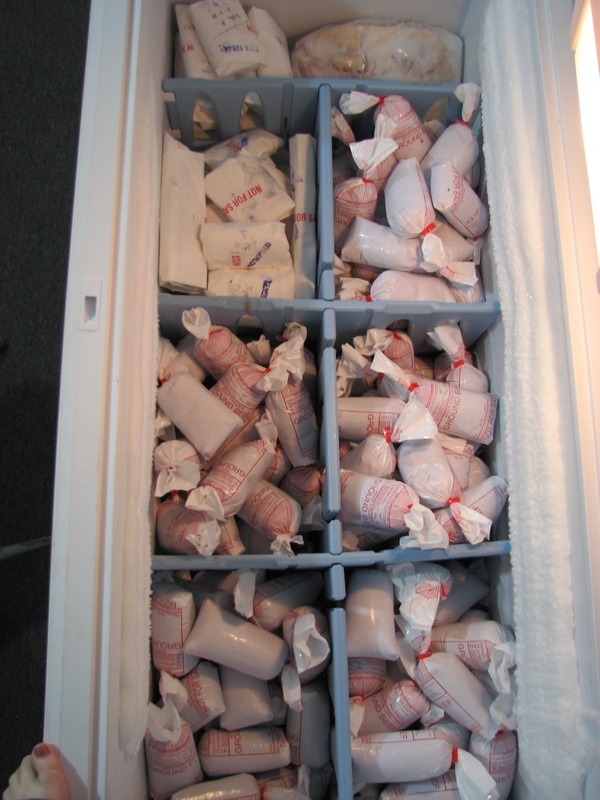 This is only my meat freezer. Jason and I are a family of two. 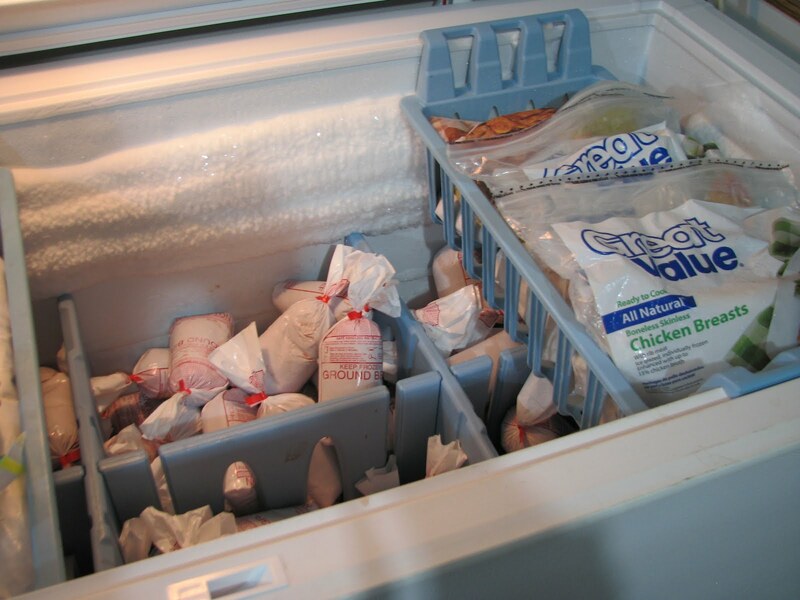 Really, I should take a picture of my sister in law Michelle’s freezer, who when we unloaded her beef into her freezer I was shocked she kept finding more and more room to actually put it! Michelle feeds a family of 6, so you can imagine how packed her freezer is. I should also mention that next month we are splitting a pig with my in-laws. Guess I better get that grill started! Next time I need to go to the grocery store, I’m coming to your house instead. Lol! We miss you! 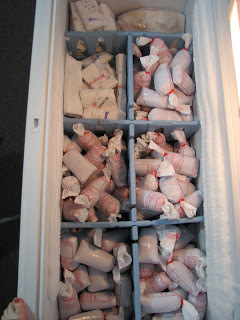 I’m jealous your freezer is so organized! 🙂 Makes me want to go straighten ours out! Yep, are basement freezer is definitely like a grocery store. Thanks Steph! I am super organized about stuff like that hope I inspired you some!